The Space Foundation has just announced its student winners of its Sixth Annual International Student Art Contest. 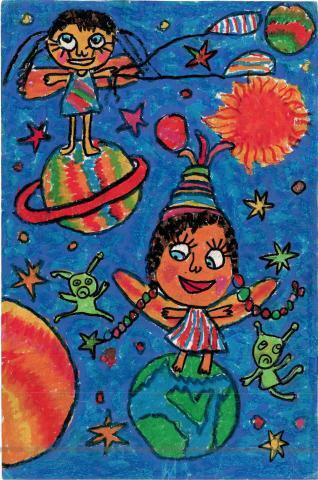 Students from around the globe, ages 3 through 18, were invited to submit their original artwork for this year’s theme, "What Space Means to Me...” The contest was free to enter for all public, private and homeschool children from nations around the world. 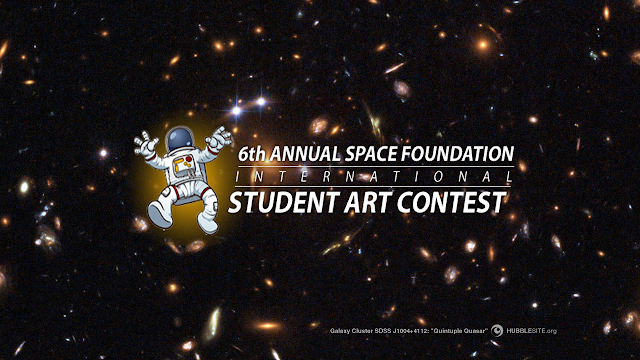 Space Foundation’s Sixth Annual International Student Art Contest has resulted in 25 winners from eight countries. Entries from around the world totaled 3,883 entries from 40 countries and 38 U.S. states for this year's contest. The entries were judged based upon the following criteria: (1) creativity and originality, (2) quality and execution, (3) adherence to the Theme, and (4) overall impression. Winners will receive a certificate and ribbon, a Fisher Space Pen, an art kit and a personalized autographed photo signed by former NASA astronaut Dr. Leroy Chiao, Space Foundation Special Advisor - Human Spaceflight. The winning entries will be displayed at the Space Foundation’s 32nd Space Symposium, to be held April 11-14 at The Broadmoor Hotel in Colorado Springs, Colo., USA. 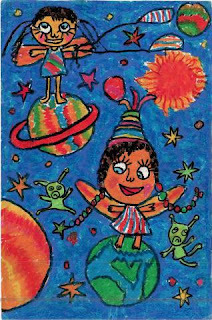 The winning art will also be displayed at Space Foundation World Headquarters and Discovery Center in Colorado Springs. Students could enter artwork in the following media formats: drawing, painting, mixed media and digital. Check it out! 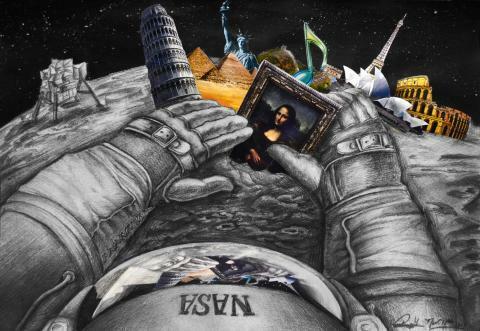 The contest asked all participants to portray in art "What Space Means to Me". The contest featured eight age categories: 3-4; 5-6; 7-8; 9-10; 11-12; 13-14; 15-16 and 17-18. 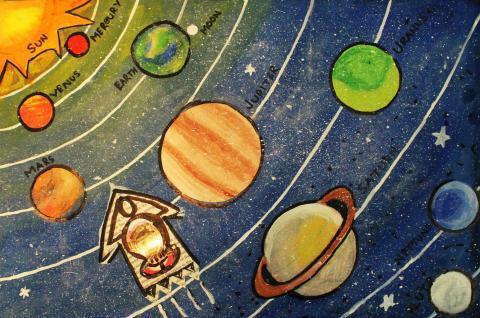 A total of 25 awards were designated, including first, second and third place honors for each of the eight age categories, plus one Space Foundation Achievement Award. In consideration of participants’ privacy, only first names of winners are listed.